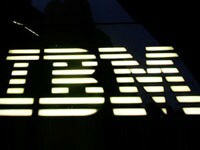 Top 10 Companies Hiring This Week (January 10 – 16), Hurry up .. Founded in 1945, today U-Haul trucks and trailers can be rented from over 15,000 independent dealers and more than 1,200 company-owned U-Haul Moving Centers. 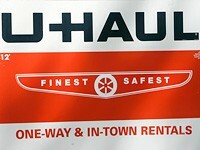 The U-Haul System, the undisputed leader in the do-it-yourself moving industry, is also the second-largest operator of self-storage facilities, the world’s largest installer of permanent trailer hitches and the world’s largest Yellow Pages advertiser under a single brand name. Two of the most powerful names in wealth management have joined forces to create a new industry leader. 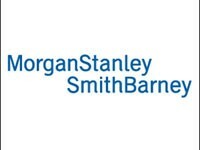 In a financial world that’s being remade, Morgan Stanley’s global wealth management business and Smith Barney have joined forces to offer you thinking and resources to fit the times. Our 18,000 Financial Advisors average more than 15 years’ experience. They can create personal investment strategies to help you meet your retirement, education, wealth transfer and other financial needs. With all of today’s noise and uncertainty, people need the right financial advice and resources. That’s what Morgan Stanley Smith Barney intends to help them to navigate their new world. 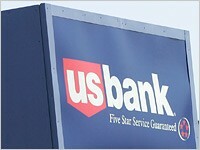 U.S. Bancorp is one of the largest financial services holding companies in the nation and a recognized market leader from the Midwest to the West Coast. At U.S. Bank we are committed to delivering first-class financial products and services and guaranteed customer service across America. We rely on each employee to deliver outstanding service, grow our business and create enhanced value for our shareholders. 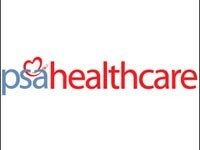 PSA Healthcare is the nation’s leading provider of pediatric home care services for medically fragile children. With over 3,100 skilled caregivers, we provide professional, high-quality, private duty nursing to pediatric patients in over 50 locations throughout 18 states. At PSA Healthcare, we work with medically fragile, technology-dependent children through age 18, providing both in-home and pediatric day treatment center care and rehabilitation. As a PSA Healthcare nurse, you have the opportunity to make a difference in a child’s life. You have the opportunity to give a family new hope. You have the opportunity to be ‘special’. We are the leading educator of students in the creative and applied arts, including design, media, fashion, and culinary arts.There are 34 Art Institutes located in major cities across North America that award master’s degrees, bachelor’s degrees, associate’s degrees, and non-degree programs. 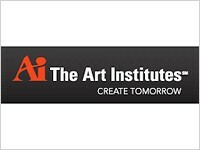 Our curriculum at The Art Institutes is carefully scrutinized and developed by industry leaders and prominent employers who tell us what skills are needed in the workplace.Many of our faculty are also working outside of the classroom so students will learn what’s happening out there… in here. For the past several years, PAM Transport has been recognized as one of America’s most successful and profitable truckload carriers. Recently, PAM was recognized as one of the best 200 small companies in the country by a leading financial publication. And while we’re big enough to offer a secure future, we’re not so big that you’ll get lost in the shuffle. 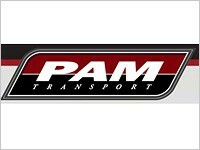 PAM Transport is currently looking to hire more truck drivers along our major freight lanes. PAM Transport is an irregular route, common carrier, which means we haul just about anything anyone wants to ship on a truck – except refrigerated products. Conklin Company Inc. is celebrating over forty years in the network marketing business. At the core of the Conklin opportunity lie our quality products – more than 130 across six major product divisions: Agronomics, Animal Products, Building Products, Health, Home and Vehicle Products. Our products are marketed through a vast network of Independent Business Owners. The diversity in our product lines offers unlimited opportunities for sales to a variety of customers. 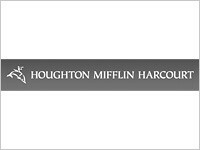 Boston-based Houghton Mifflin Harcourt Publishing Company is a global education company and the world’s largest publisher of educational materials for pre-K–12 schools. The Company publishes a comprehensive set of best-in-class educational solutions, ranging from research-based textbook programs to instructional technology to standards-based assessments for students and educators. The Company also publishes an extensive line of reference works and award-winning literature for adults and young readers. With origins dating back to 1832, Houghton Mifflin Harcourt combines its tradition of excellence with a commitment to innovation. 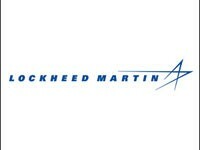 Lockheed Martin’s vision is to be the world’s best systems integrator in aerospace, defense and technology services; to be the company our nation and its allies trust most to integrate their largest, most complex, most important advanced technology systems. Our goal is to provide the best value to our customers, growth opportunities to our employees, and superior returns to our stockholders.